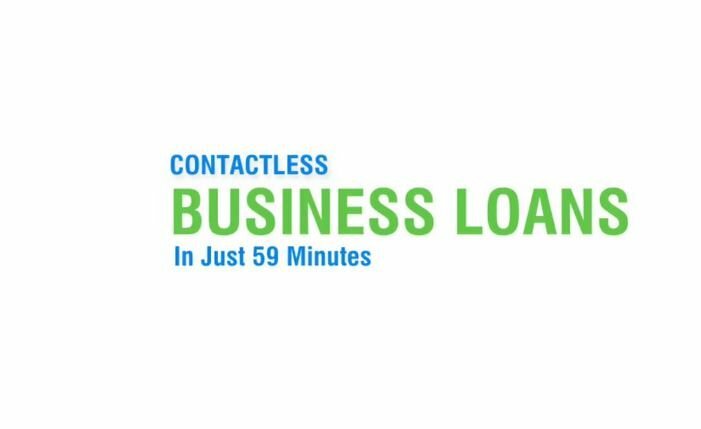 Prime Minister Narendra Modi has announced an ambitious scheme of getting loan up to 1 Crore in just 59 minutes. The scheme has been started for the Micro, small and medium enterprises. Among the 12 schemes that were generated, one that was highlighted was the facility of availing loan under 59 minutes. 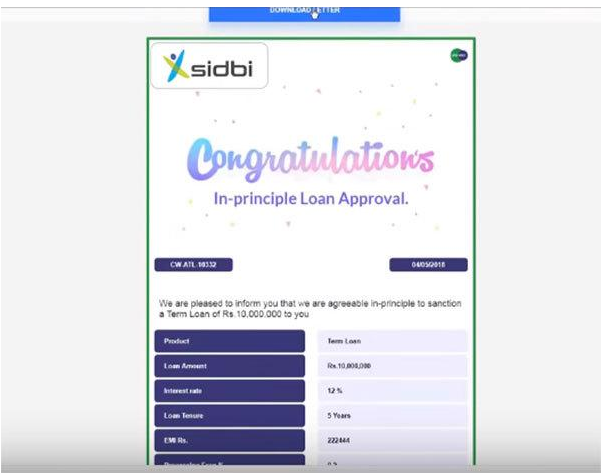 With this initiative, the Government is working towards pushing the growth in automation and bringing down the time and process involved in cumbersome Loan facilities. An Individual who qualified for such loan would be able to avail the same at the interest rate of 8%. Once the approval is through principle of application, the loan amount would be given to you within 7-8 working days. Further, the scheme does not ask you for any collateral since the online portal traces back to the Credit Guarantee Fund Trust for Micro and Small Enterprises scheme. As a borrower, you would not be asked to make any payment for the registration. The process is simple where in the proposal of the lender should match with the requirement of the borrower. After the match, the approval in principle will have to make the payment of Rs 1,000 plus applicable taxes. Bank Account details: You would require to furnish six month bank statement in the PDF format. Income Tax Details: Before starting the application process,you would also be required to furnish the Income Tax return for three years and it would be required in the XML format. Similarly Income tax codes and e-filing details would also be needed. e-KYC paper: A digitized version needs to be uploaded. 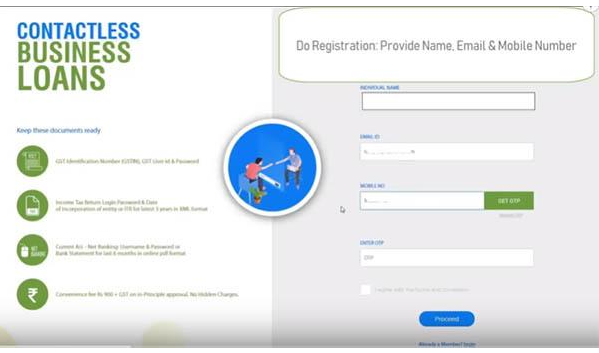 GST Details: It is a given that the applicant would have to provide his GST ID username and password. Details of the Ownership: As an applicant, you would have to furnish ownership paper of the ventures. Plus you need to submit the personal and educational details. Visit the Official website www.psbloansin59minutes.com. And complete the sign up process. 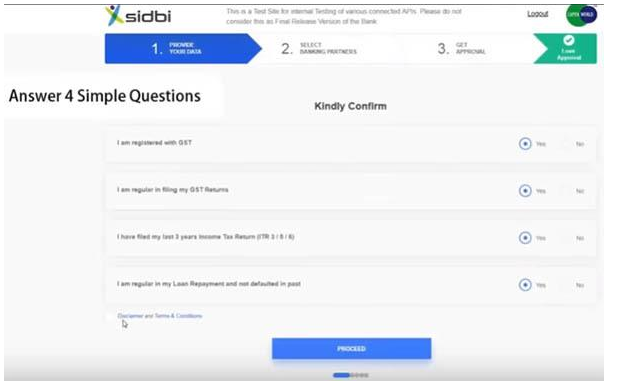 A screen would appear asking the Basic Questions.Once you are done with answering those, click on “I am a registered MSME and Iagree with the above selected point’ and click ‘Proceed’. In the Bank Statement, the applicant can either upload the statement or login with the netbanking credentials. Thereafter, you would be asked the purpose of Loan. 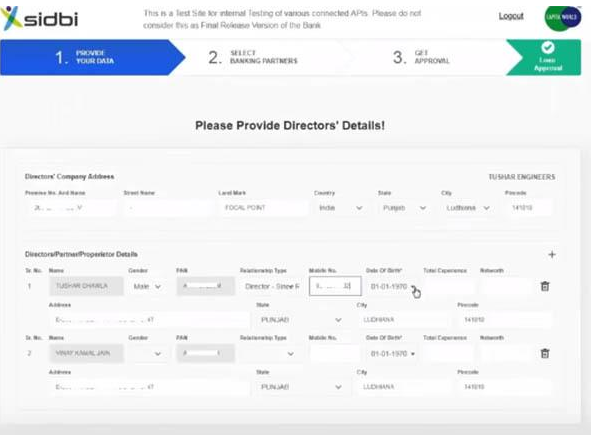 You also have the option to select the Bank from where you want to get the Loan Processed. Thereafter, you will have to pay the convenience fee.Once that is done, the process is complete.